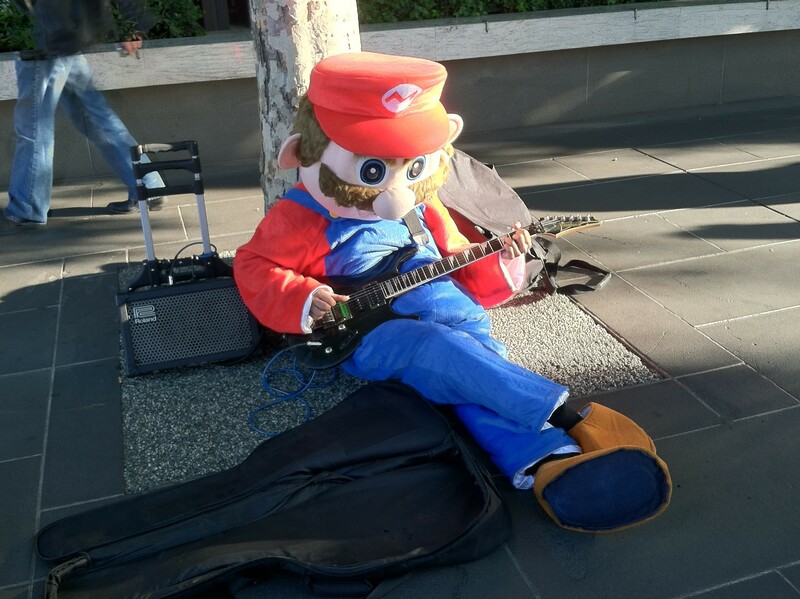 While exploring the streets of Melbourne, I came across a man in a Mario suit playing Metallica’s “Nothing Else Matters”. Seeing a full-grown Mario playing Metallica (and playing it quite well, for that matter) was quite a sight. I came across him a bit later and heard him playing Pink Floyd’s “Run Like Hell”. You can see/hear clips of both in the video below. The video also contains some footage of other street musicians in Melbourne. I was really impressed with the street performers there – every single one that I saw was super talented and had something unique to offer.